Since we started nichemarket two years ago, we've had to face quite a few challenges in our path, like any new business. One of them was showcasing the value of SEO and organic traffic and how it can create a sustainable business as this is our point of expertise. Unfortunately, most people aren't well versed in the ways of Google and do not see the difference between paid and organic search and because of this, there's a common misconception that Google can only be dominated by the big boys. We've spoken to many business owners about SEO and its benefits yet we're always surprised at their view on the sector thinking if you're not paying for traffic you simply won't get any when this is simply not true. While the struggle to convince businesses to embrace SEO continues not just for us but everyone in our sector. A simple narrative can only tell half the story, and in a digital world, stats are what business owners are actually interested. Let's talk numbers as the popular phrase goes. 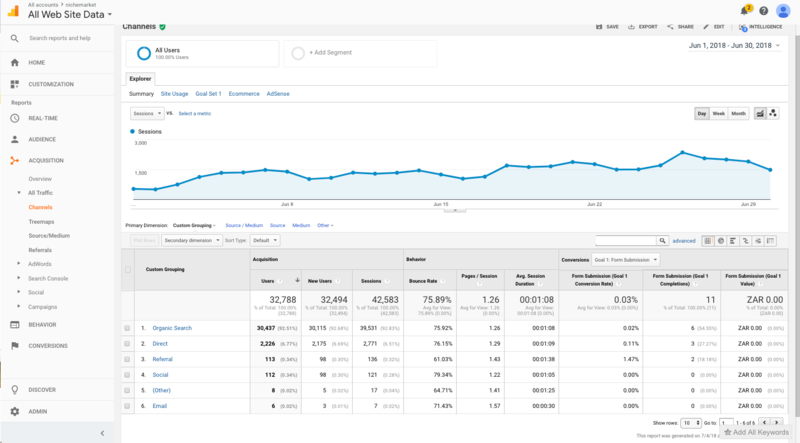 Seeing this dilemma, we thought the only practical way to show businesses the value of organic traffic would be to create an ongoing case study. We needed a site, one that we had full control over and complete autonomy to do as we pleased that way we could sort out all technical and formatting issues from the start. Which is what we did by setting up the site you're currently on. Now that our technical base was sorted we decided to take our little agency site with its blog and use it as our test subject to show businesses the potential of SEO and content marketing. Our content focuses mainly on digital marketing, marketing tech, online and business trends. The cornerstone of any successful content marketing strategy is keyword research. We initially put together a keyword map, bucketed the semantic ones to create general topics we would tackle, and questions users would like answered and began to create content that satisfies those search queries. Since our job is to analyse search trends we're normally clued up with were cyclical and seasonal search trends occur and prepare our site for these changes and ride those uplift waves. It provides a nice boost in traffic and helps expose your brand to users you would have not had access to before. We mix our content up between marketing tech reviews, industry updates, how to guides, tutorials and trend analysis. We do this to keep our content fresh, to reach different audience needs and attract them to our site to introduce users to the various free resources we provide. We make sure we put out at least four articles per week! This one may be hard to follow for some, but if you're passionate about your craft, it shouldn't be a problem. We don't do much regarding social media apart from posting four articles a week. Other than regular content updates via our scheduling tool on our various social media pages, our accounts remain pretty dormant since it takes way too much time to do community management and we're not really interested in paid reach on social media for our own site. We launched the site on the 18 October 2016, and in our first month, we pulled in 300 visitors, which is now our baseline! Fast forward 21 months, and in June 2018 we're raking in 42 584 visits for the month. 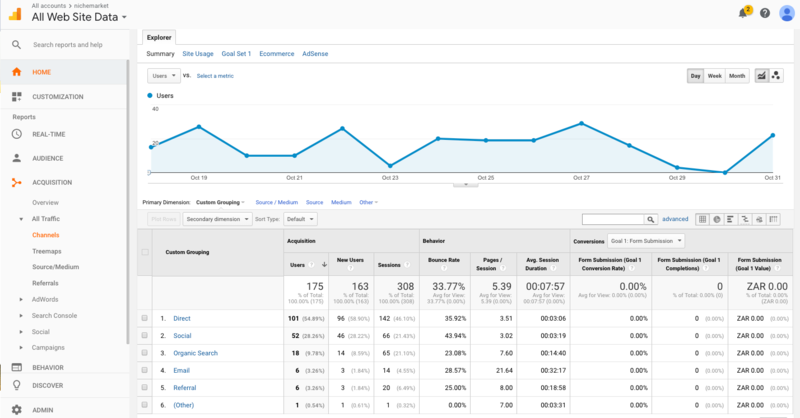 That's a 14 094% month on month uplift compared to our first month without spending a single cent on an ad. All of this was achieved by merely creating valuable content readers found helpful or interesting enough to share with their friends and colleagues, and from there the site continues to grow. The beauty of organic traffic is that each month becomes your new baseline and from July onward we'll be looking to improve on our 42 500 visits and push for more. If we continue our current growth trend, then it won't be long before we hit our 1 millionth visit.